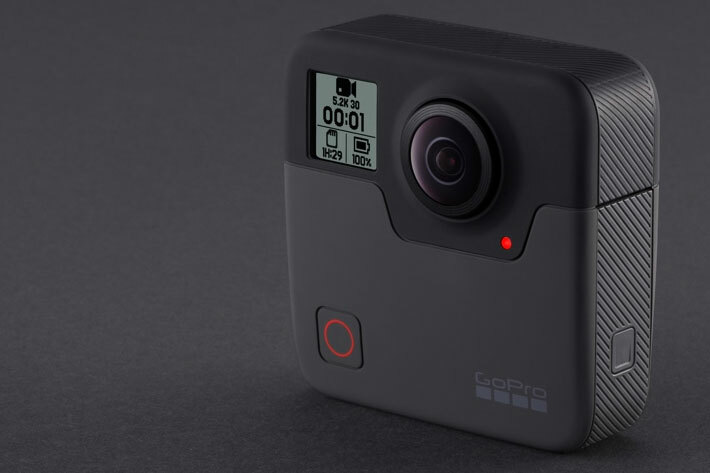 GoPro Fusion can, with the new firmware v2.0, capture at a resolution of 5.8K and the new resolution supports 24fps, marking a Fusion first to incorporate seamlessly with TV and film productions. This is something that some users were asking for, and it represents the biggest update since launching the Fusion in 2018. GoPro says that this is that time of the year where new resolutions about, and they took it literally… by improving the resolution of the Fusion camera. The new firmware v2.0 enables a new 5.8K capture resolution that, when stitched, produces 5.6K spherical footage — the most cinematic quality Fusion has produced yet. In fact, the cinematic improvements don’t end there. This new resolution is now supported at 24fps, marking a Fusion first to incorporate seamlessly with TV and film productions. The firmware is introduced as a public beta so users of GoPro’s spherical camera Fusion can try it. The upgrade introduces users to a whole new experience. In fact, says GoPro, “there are a few more big-ticket updates, like a 5.6K/24fps time lapse mode and longer night/time lapse photo intervals, but beyond firmware, this public beta improves the full GoPro spherical content creation ecosystem with updates to Fusion Studio and new 2019-compatible Adobe Premiere and After Effects plug-ins.